Think Ability Community Garden | Think Ability Inc.: Think Ability Inc. Think Ability Inc has taken on a new exciting venture - a Community Garden in Duncan! 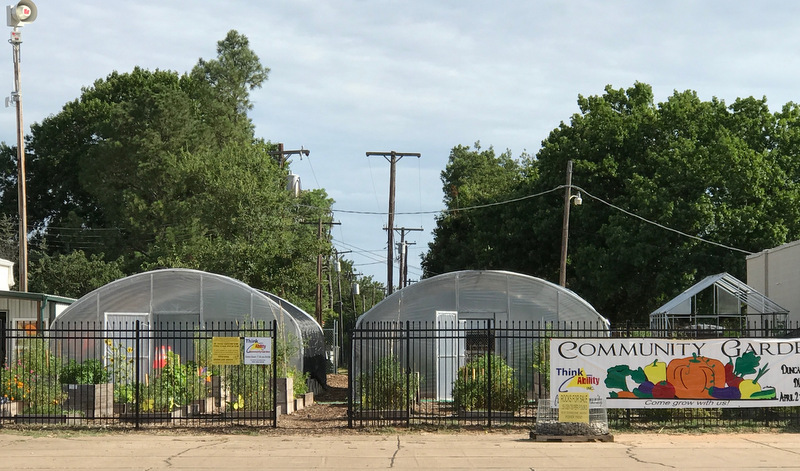 The goal of Think Ability, Inc. Community Garden is two-fold; first to provide an opportunity to the people we serve that will encourage the development of their own interests, education and skills in gardening and nutrition. Equally important is to promote the different types of gardening methods, plant varieties, composting techniques and more to our neighbors and friends in the community who share our interest in gardening. You can obtain the Garden Bed Application, Volunteer form plus a preliminary calendar of dates and events coming up in our first year of our Garden. Application will need to be completed and return no later than January 30th, 2018 we are looking forward to meeting you and sharing all that we have planned for this new Spring Growing Season. If you would like to support the efforts with a tax deductible donation, please donate goods, in-kind services or money to go towards purchase of product, supplies and equipment. We hope that you will join our efforts and make the dream of a vibrant,educational and bountiful Community Garden come true.